Find, shop for, and buy Bertazzoni Appliances online for the lowest prices at US Appliance and get free shipping. Bertazzoni cooking products originate in Emilia-Romagna, a region world-famous for its food. Precision-engineered to the highest specifications every appliance bearing the Bertazzoni name represents an unwavering commitment to quality. 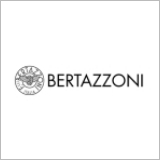 Browse our selection of Bertazzoni Ranges, Cooktops, Wall Ovens, Microwaves and Range Hoods.